The joy of the road trip – HubNut – celebrating the average! You can’t beat leaving your life behind and heading off on a high-mileage jolly. I’ve done it several times and while each trip had its own stressful moments, looking back, these were good times for sure. The first big road trip that my wife and I undertook was to drive to Sweden. Via France. 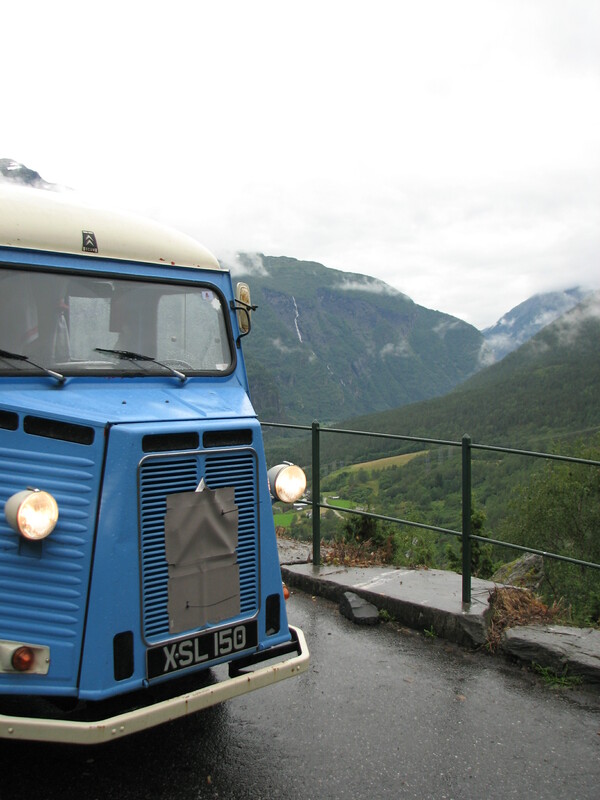 In an undergeared Citroen H van of a design first launched in 1947. This would be a classic grand scenic tour with a big difference! Rather than using an exotic sports car, we’d be travelling in a corrugated shed on wheels with a comfortable-ish cruising speed of 50mph, servoless drum brakes but the advantage of a bed and kitchen area. Tea would be in endless supply. In the space of three weeks, we drove through France, Belgium, The Netherlands, Germany (where the windscreen exploded in our faces), Denmark, Sweden, Norway and then back home via Newcastle. We clocked up 3100 miles with no mechanical trauma other than the exhaust setting fire to the carpet on the floor. The next year, we undertook The Eight Ball Challenge. 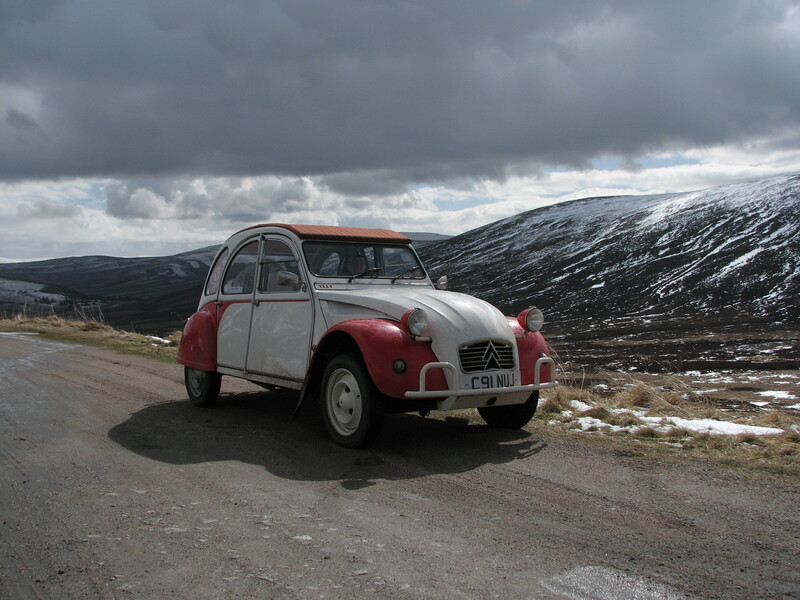 This was a 2cv-only event driving around Great Britain in a figure of eight. That allowed us to clock up 3500 miles in 15 days, in cars with 29bhp (one was an old one with only 12bhp, and it turned out to have lost several of those!). It was one of the best experiences I’ve ever had, meeting different people around the country and having a lot of fun with the folks who took part in the event. The 2CV had a few mechanical issues that needed occasional fettling, but got us there in the end. Then the year after that, I headed off with a friend to take part in the BXagon Challenge. We drove 3500 miles around the perimeter of France (taking in Belgium, Luxembourg, Switzerland and Spain for good measure) in 14 days. Apart from a coolant pipe failing and a rear disc shroud falling off, the car coped perfectly. In 2010, our big road trip was to take the 2CV to Switzerland, via Normandy (where my father-in-law lives). That was great but in a moment of madness (well, 17 hours of madness) we drove all the way from mid-France to home in Cambridgeshire in one hectic day. That was 660 miles of driving! We filled up with fuel in four different countries. All of the above took us to places we’d never usually visit, often well away from major routes and civilisation. The scenery was often truly breath-taking and you begin to revel in the freedom of the road. Don’t get me wrong – these are expensive holidays, even when the BX we used on the BXagon only cost us £266 to buy. Even with a rather excellent 50mpg, we used over 315 litres of fuel, so that’s probably £350 on fuel alone, without considering ferries, catering, accommodation etc. We did avoid paying for tolls by keeping away from big roads – France allows you that and you see far more of the country. A good road trip includes plenty of gorgeous scenery to make it feel like a grand tour! Trips like this are perfect to re-ignite the joy of driving. Cities and commuter routes can leave you thinking that driving can no longer be a pleasure. That is not the case. Take a road-trip in your classic or tackle a grand classic tour and remind yourself that driving CAN be darned good fun. Even in an underpowered old Citroen. Hear hear to that. I drove the Beallach na Ba in Wester Ross the other week. It’s like something out of the Italian job or Goldfinger with its hairpin bends – except that it’s single-track which adds a frisson or two.